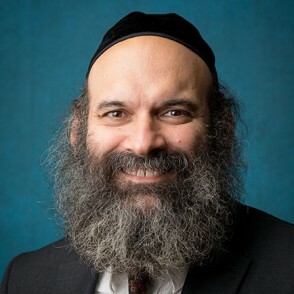 Rabbi Mayer Twersky holds the Leib Merkin Distinguished Professional Chair in Talmud and Jewish Philosophy at Yeshiva University’s affiliated Rabbi Isaac Elchanan Theological Seminary of Yeshiva University. He is also a rosh yeshiva in the Mazer Yeshiva Program of Talmudic Studies of Yeshiva College. His popular shiurim emphasize a combination of penetrating conceptual analyses and deep ethical imperatives. Rabbi Twersky hails from the well-known hasidic family of Chernobyl. His grandfather was the Rav, Rabbi Joseph B. Soloveitchik. Rabbi Twersky attended the Maimonides School in Brookline, Mass., which his grandfather founded, through high school. He then attended Harvard College, while studying Talmud privately with his grandfather. Following college, he studied for rabbinic ordination at RIETS. He eventually became a teacher in the Yeshiva University High School for Boys and later a lecturer at RIETS. In addition to Hebrew articles in RIETS’ annual Torah journal, Rabbi Twersky has published three English articles in the journal Tradition and an English article in the Orthodox Union’s magazine Jewish Action. Two of these four articles relate to the place of women in contemporary Orthodox Judaism.